Tibet (simplified Chinese: 藏区; traditional Chinese: 藏區) is a plateau region in Asia, north-east of the Himalayas, in the People’s Republic of China. Tibet is the highest region on Earth, with an average elevation of 4,900 meters (16,000 ft.). There are over 800 settlements in Tibet. Lhasa is Tibet’s traditional capital and the capital of Tibet Autonomous Region. 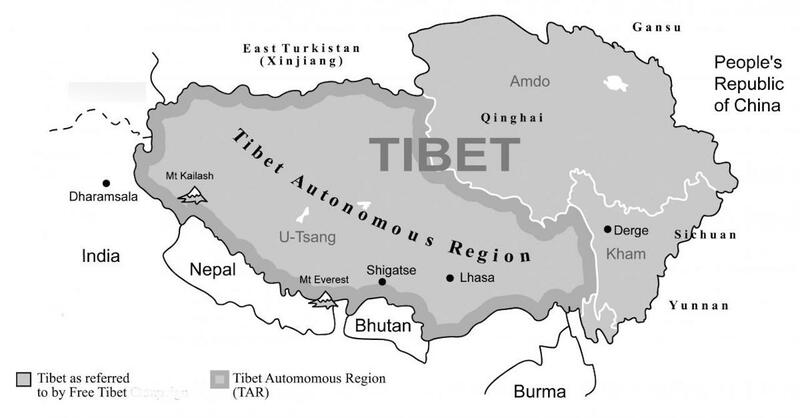 Tibet Autonomous Region is divided into seven prefecture-level divisions: two prefecture-level cities and five prefectures. The prefecture is subdivided into counties.